As marketers and communicators, we frequently advise our pharma and biotech clients to engage directly with the patient community. But how can we most effectively – and compliantly – do this? 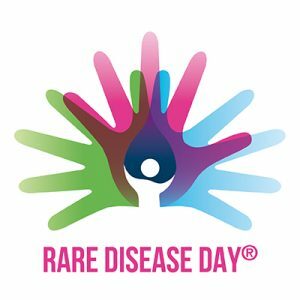 As today is Rare Disease Day, I thought this would be a great opportunity to call attention to how we in industry can really help the rare disease community. Rare diseases by definition affect small numbers of people, sometimes just a few dozen or less, in one country. Patients and parents are desperate to connect with one another, and often one or a group of patients will find ways to connect to share their journeys and experiences through social media or online communities. However, these groups often lack a formal, non-profit designation and a cohesive mechanism for more widespread collaboration, education and advocacy. This is where industry can really help. Companies committed to fighting rare diseases can provide the partnership needed to establish independent patient-run advocacy organizations or provide support for certain activities such as a website or patient meetings. Industry can be a very effective partner to the rare disease community so long as it follows an ethical code of conduct, is transparent about its role and clear about its purpose. Industry is perfectly poised to empower the rare disease community. Companies in this space have relationships with key stakeholders, researchers and clinicians who are experts in these disease areas who understand the unmet medical needs of patients and their families, their unique struggles and concerns. Helping patients with rare disease is fundamental to industry core values and mission to “put the patient at the center.” Now it’s time to walk the talk. Through advocacy, industry can involve patients in clinical trial design, marketing materials, education, access challenges, value proposition and so much more. After approved therapies are on the markets, advocacy provides early signs to issues, compliance challenges and so much more. Patients appreciate having their voices heard and value the expertise a partner can provide in allowing them to amplify their presence, educating health care providers, patients and the public, and fostering a sense of community. It’s truly a win-win. The U.S. Food & Drug Administration doesn’t provide formal guidance for industry, though PhRMA has published guiding principles and BIO has similarly released patient engagement principles to keep in mind when interacting with patient organizations. I encourage companies to talk to patients, caregivers and advocates. Ask what they need and find ways to partner in ways that can benefit everyone involved. Industry can work effectively in partnership with advocates and the communities of patients they serve. Engagement is key. Today, we honor those companies that have had the courage to commit to orphan diseases and pioneer not only innovative therapies, but ways to partner with patient communities to make a real difference in the lives of these families. Thank you.